Welcome to the Dadirri Disability Services LATEST NEWS section where we will keep you informed about our latest events and activities. If you would like to stay up-to-date please sign up to receive our newsletter. 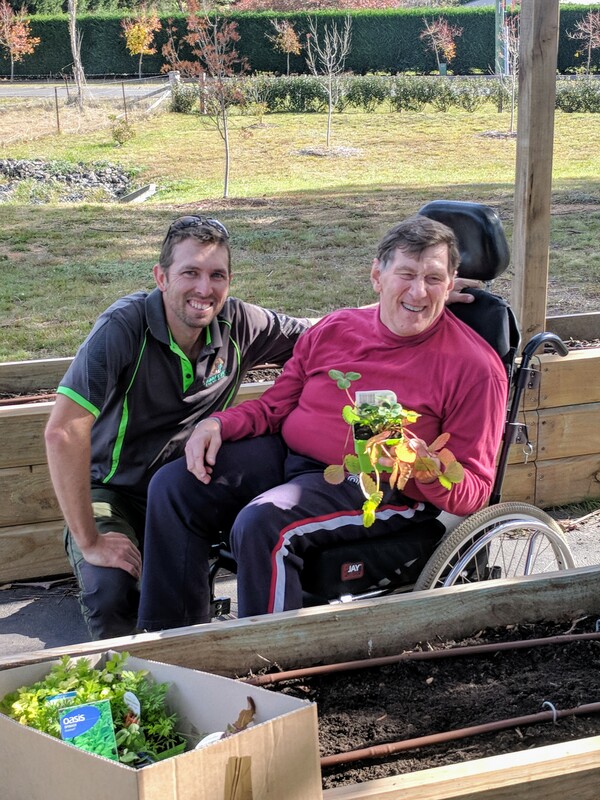 The ‘Dadirri Digs It’ vegetable garden located in the garden of the Woodside home, has come to life thanks to a generous 2016 ClubGrants funding allocation with thanks to the Mittagong RSL and Moss Vale Services Club. Raised garden beds were designed and constructed by horticulture and landscape specialist, Family Tree Horticulture, to ensure easy, safe access to the gardens for residents and community members confined to wheelchairs. The beds are just the right height and width to allow residents to maintain dig, plant, weed and harvest herbs and vegetables planted within. They are also positioned to ensure safe wheelchair access from the concrete pathway leading from the home. The residents will be encouraged to maintain the beds but an automatic watering system has been installed. Recently planted Winter vegetables include broccoli, cauliflower, cabbage and onions. A variety of lettuce and herbs have also been planted while a selection of beans, peas and strawberries will hopefully soon be climbing the specially designed trellis framework.